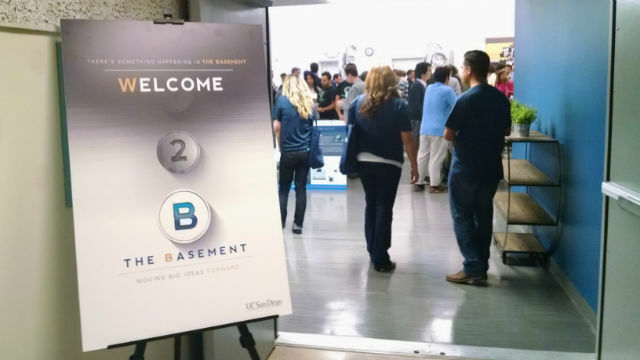 Silicon Valley may have its garages, but UC San Diego is countering with The Basement, opening up 3,000 square feet beneath Mandeville Center for the university’s budding entrepreneurs. The space will be used for workshops, boot camps and offices for 20 student-led startups, and the university hopes to create a pipeline to San Diego’s more established technology innovators. “I’m expecting a lot from this group and this space,” said Dr. Suresh Subramani, executive vice chancellor for academic affairs. Entrance to the basement workspace in Mandeville Center. Subramani spoke as students and graduates toured the space on Friday and quizzed some of the teams about their products. On the walls were posters of some of UCSD’s successful alumni entrepreneurs, including GoPro founder Nick Woodman. 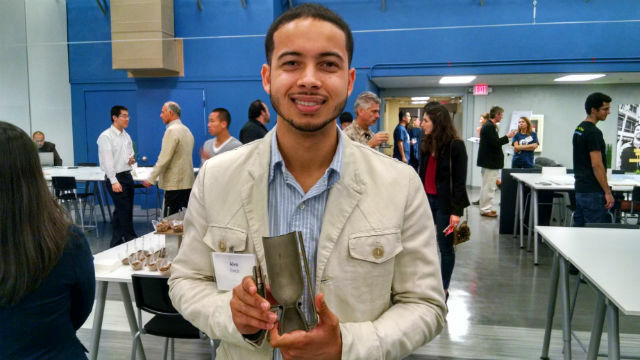 Alex Finch, a senior and co-founder of Tri-D Dynamics, showed off a rocket engine made with a 3D printer. The prototype engine is printed from cobalt chromium and a successor will be made from the nickel allow Inconel. Emma He, a student at the Rady School of Management, is launching eCupofTea, an app for selling and locating parking spaces. The university’s basement initiative comes amid a flowering of incubators in San Diego, including EvoNexus, CONNECT, Fab Lab San Diego, The Moxie Center at UC San Diego and the Zhan Innovation Center at San Diego State Univeristy. “The overall energy is the important thing, so the more incubators, the better,” said Jeff Belk, a 1983 UCSD graduate and one of the alumni behind the basement project.